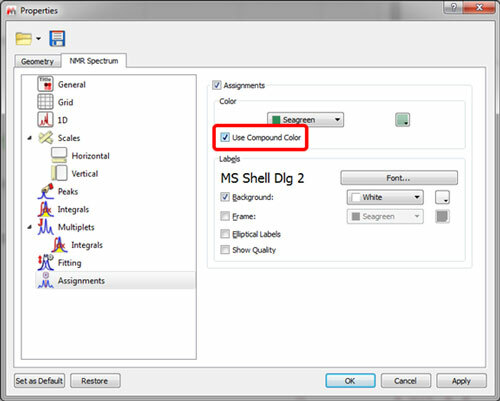 Let´s see how to assign a spectrum containing a mixture of two compounds and how to extract the spectrum of each compound from the mixture. 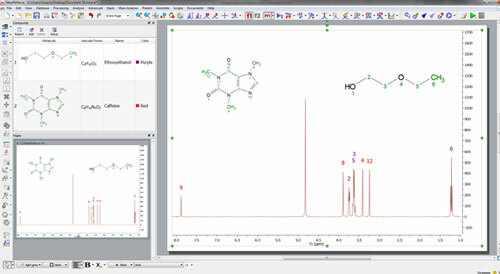 Now, let´s extract the spectrum of each compound from the mixture. 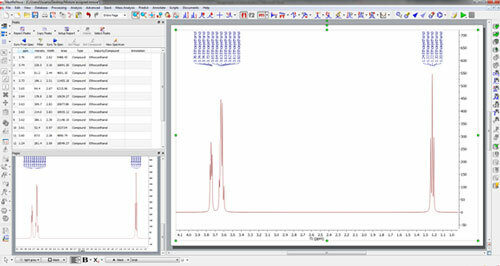 Run an automatic ‘Peak Picking’ analysis and follow the menu ‘View/Tables/Peaks’. 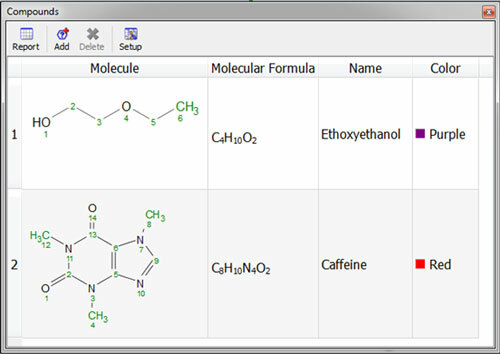 Click on the ‘Select Peaks’ button and drag&drop over the peaks which belong to Caffeine: Finally, click on the ‘Set Compound’ button of the Peaks Table and select ‘Caffeine’: Click again on the ‘Select Peaks’ button and select the peaks of the Ethoxyethanol. 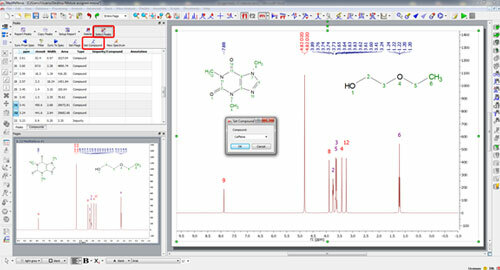 Next click on ‘Set Compound’ and select the applicable molecule. 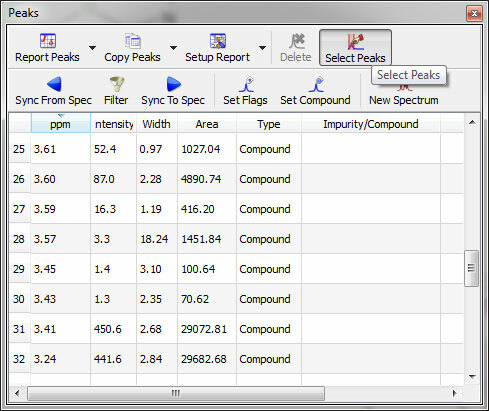 You will get the applicable peaks labels for each compound as you can see below: Finally, click on the ‘Filter’ button of the Peaks Table and select ‘Peaks assigned to Caffeine’: You will see how the Peaks table will only contain the peaks of the Caffeine. 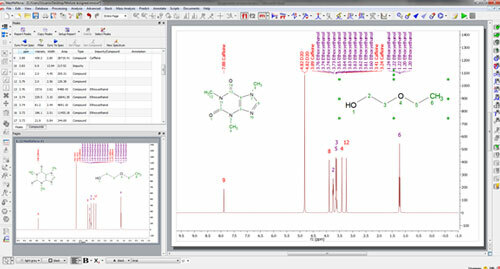 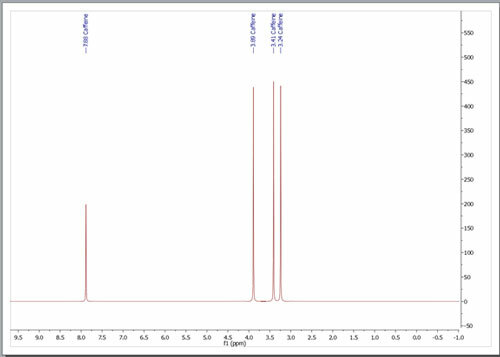 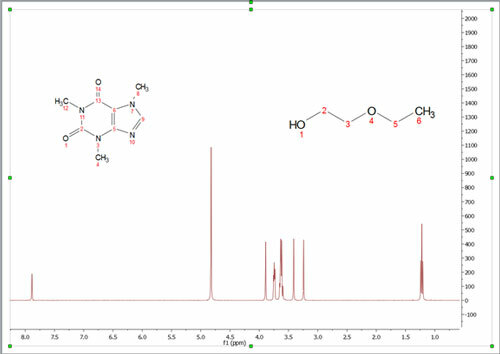 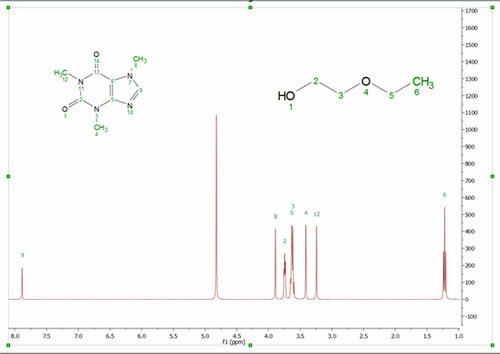 Finally click on the ‘New Spectrum’ button to generate the ‘Caffeine’ spectrum: Do the same with the ‘Ethoxyethanol’ to get the applicable spectrum You can download from here the final document containing the mixture and the extracted spectra of each compound.